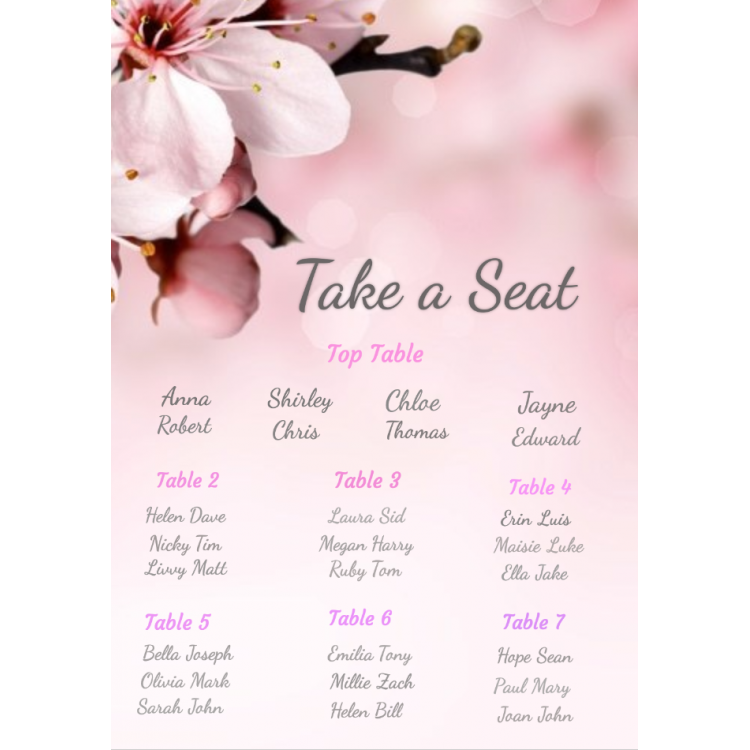 Design your own - Wedding Seating Plan. 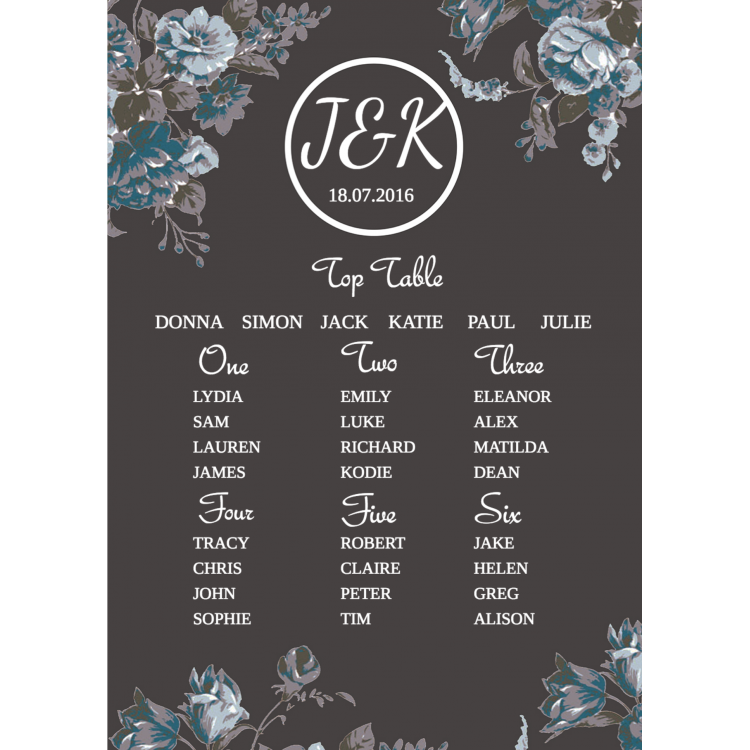 Wedding Seating Plan - Template 1- Black and blue flowers. 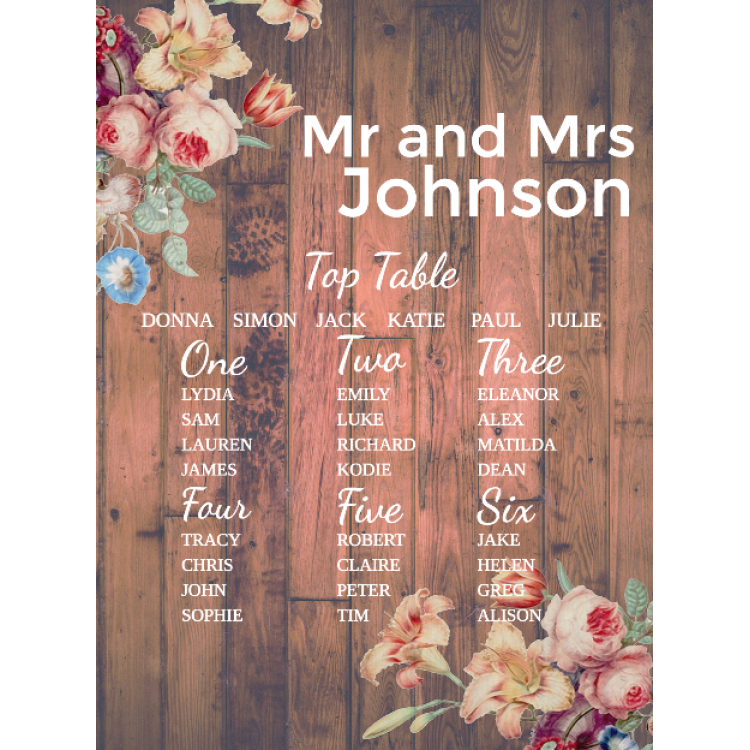 Wedding Seating Plan - Template 2- Wooden. 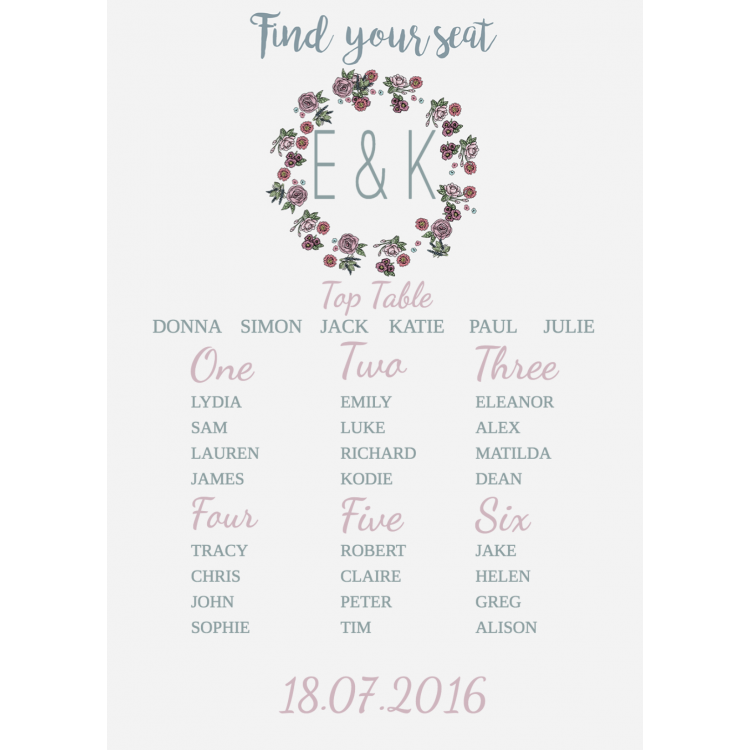 Wedding Seating Plan - Template 3- Grey Floral. 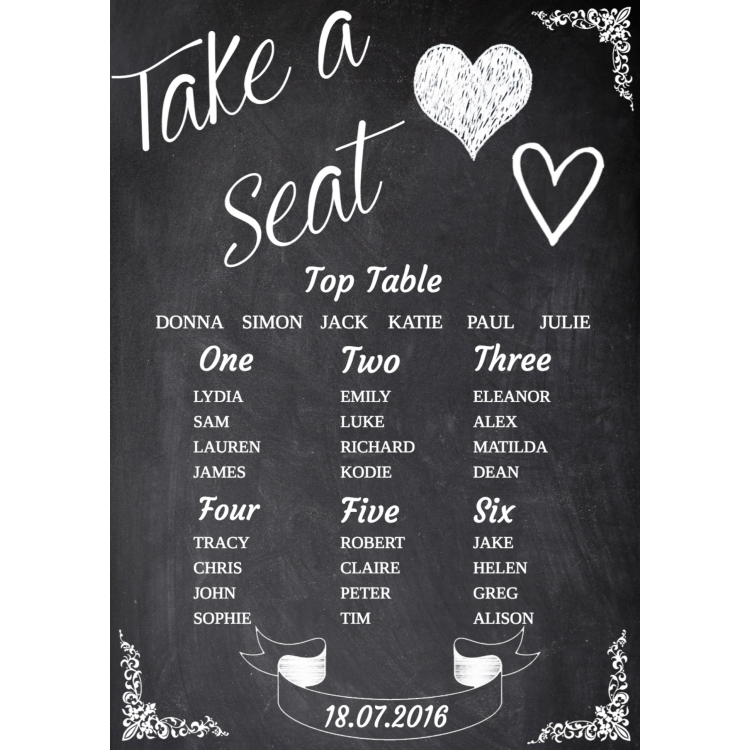 Wedding Seating Plan - Template 4- Chalkboard.